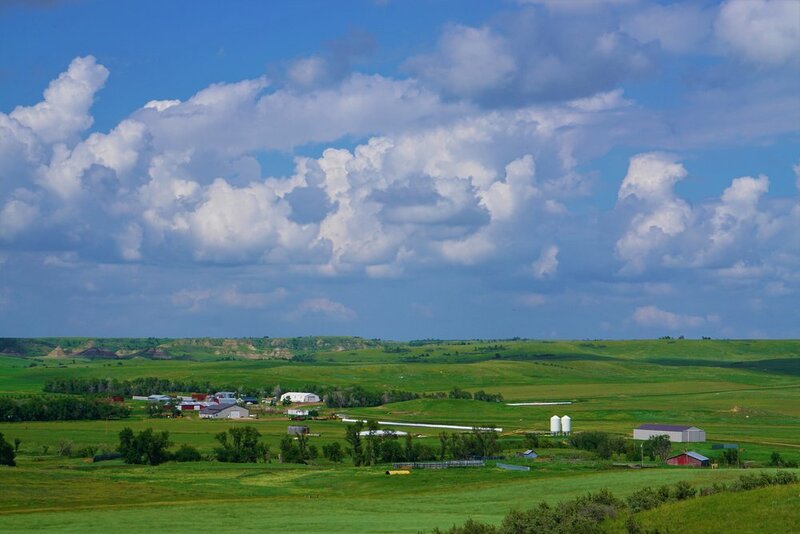 Established in 1937 with registered Salers since 1983, Elm Creek Ranch is family owned and operated. Stan Sayler and the team at ECR have built on the tradition of raising quality Salers and Optimizer seedstock cattle that originated with the Opp family. At ECR, we strive to build a reputation of integrity and functional cattle with unsurpassed performance. We select for the most growth and require structural soundness from easy natured cattle born early in the breeding cycle. Salers make up the foundation of our cowherd for legendary maternal traits including trouble free calving, longevity and survivability. We have incorporated Angus to achieve exceptional growth and heterosis. Two thirds of ECR male calves are marketed in the fall as feeder steers. Because of this, it is beneficial to breed for a uniform set of calves that will perform for the feeder calf buyer. ECR seedstock customers choose from the best one third of the bull crop. ECR raises the bar for performance and complete records. ECR has been a nine time world champion in the Midland Bull Test Index. This index considers three combined measurements; weight per day of age, average daily gain and efficiency. For eight years running, ECR has been the American Salers Association’s Performance Breeder of the Year over 50 head for the most inclusive records. ECR cattle are provided with any tools needed for success. With calving starting the end of January, the quality nutrients necessary are provided in baleage and dry hay harvested during the summer. Disease immunity is bolstered with a comprehensive vaccination protocol. Calves receive a round of vaccinations at birth with a modified live and 8-way booster program following in spring and fall. The cows are also given a modified live, pre-breeding vaccination. The calves grow on a diversity of native and tame pastures without creep feed during the summer. After weaning, the bulls that qualify for seedstock are fed a high roughage diet to promote hard muscle that will stand up in their future work environment. High quality nutrients are captured in cover crop baleage fed free choice to the growing bulls along with a locally made RationManager consumed at one half percent of body weight. A Uniform group of fertile and sound cattle with exceptional growth and comprehensive performance records can be found at the Northern Exposure Sale each April at the ranch in Hebron, ND and at the Midland Bull Test.